Calcarea Fluorica is a mineral naturally found in the body and is non toxic in nature. It is found in the surface of the bones, enamel of the teeth, elastic fibers and the skin. 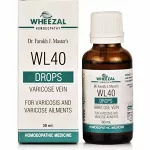 A disturbance, deficiency, or dissociation in the molecules of this element results in lumpy, more or less hard, growths, horny growths, dry skin with hard crusts with cracked hands, hardened mammary glands, or hardening of other parts. 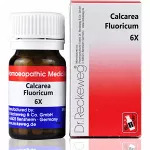 Hard swellings on the bones,varicose veins, inflammation of testicles, pus formation, Calcarea Fluorica is best suited. 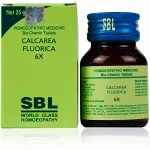 Eye complainrs and affection has been well recovered after use of Calcarea Fluorica. It has swelling with stony hardness of affected parts (mammae, glands, bones,etc) small noudles in the neck region, Goitre. Whiteness of skin,chaps and cracks are relieved after taking Calcarea Fluorica. Indigestion that arises after fatigue is relieved by Calcarea Fluorica. 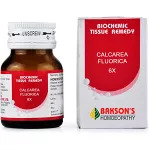 Valvular diseases are well relieved with Calcarea Fluorica. It is safe to take the tablets even if you are on other mode like allopathy medicines, ayurvedic etc. Homeopathic medicines never interfere with the action of other medicines. It is safe and has no side effects.